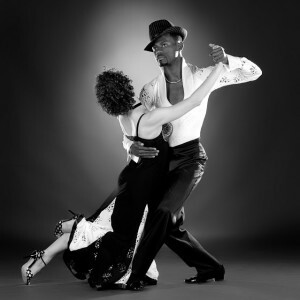 An excellent professional dancer and Competitor, Steeve Jean Louis teaches and coaches students in all Ballroom, Latin and Rhythm dances at Goldcoast Ballroom. Originally from Port-au-Prince, Haiti, Steeve began his training in ballroom dancing there in 1997. Having discovered his true passion, he moved to Florida in 2004 to perform, compete, and teach. Since his arrival in the U.S., he has participated in several championships and has trained with various dance champions. He is one of the most versatile dancers in the world. 3rd place rising star American Rhythm 2012. Rufus Dustin: World Dance and DanceSport Council professional, coaching, choreographing and judging throughout the world. Kasia Kozak: World Dance and DanceSport Council professional, coaching, choreographing and judging throughout the world. Currently, Steeve teaches at Goldcoast Ballroom and other local Dance Studios. His experience extends to Ballroom Dancing, in both International and American styles.